The Vitreoretinal Service at Cambridge provides consultant led 365 day a year service for the management of all aspects of vitreoretinal surgery including retinal detachment, eye injuries, diabetic eye disease and macular surgery including macular hole and macular pucker. In addition we provide specialised care for patients referred to our unit with complications following cataract surgery, including endophthalmitis (infection) and retained or dislocated cataract remnants or dislocated lenses. The results of our surgery for retinal detachment repair are subject to a rolling programme of audit and clinical governance and our results are published in the peer reviewed scientific literature (see below). We aim to achieve successful retinal reattachment in over 90% of all cases with a single operation. We also have extensive experience in surgical repair of retinal detachment for the late complications of diabetic retinopathy and in addition also receive referrals from other hospitals for repair of recurrent retinal detachment following unsuccessful primary surgery. 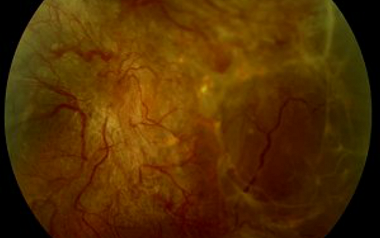 Ung T, Comer MB, Ang AJS, Sheard R, Lee C, Poulson AV, Newman DK, Scott JD, Richards AJ, Snead MP (2005): Clinical features and surgical management of retinal detachment secondary to round retinal holes. Eye, 19 (6) :665-9.